I don't know how else to put this, Thailand is magic. We decided to go big with our travels this year because Niall was going to start Fire Academy in the summer and we didn't know the next time he'd be able to truly take time off. 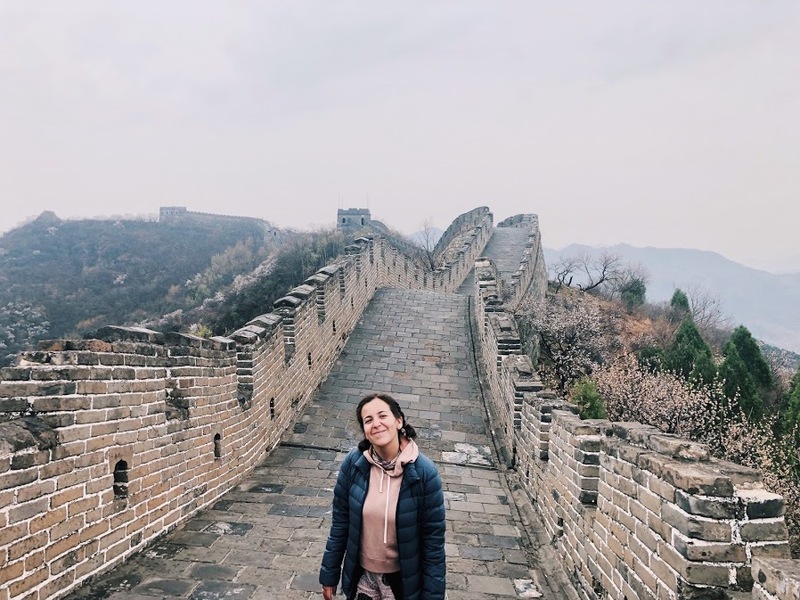 We found incredibly cheap flights with Air China ($650 round trip with a 22 hour layover in Beijing) and decided to just go for it! Just like the last blog post, this one will include all the links, photos, videos and advice you could need for a dope 10 day trip to Thailand! FLIGHTS: About 6 weeks before our trip, we found the aforementioned deal on Air China for $650 round trip, out of JFK, with a layover in Beijing. It was a 14 hour flight to Beijing, 5 hour wait, and then another near 5 hours to Bangkok (basically a 35 hour travel day you'll need to factor into your trip). Tips: get to the airport early for check in as they tend to be on the slower side, and bring tons of food/ snacks because you won't find many options in Beijing. Air China also has a pretty strict baggage policy, with size of bag factoring in as well as weight. For domestic flights, we flew Air Asia. I really recommend flying from city to city. People like to take the night train from Bangkok to Chiang Mai, but the flight was comparable in price and took 1/13th of the time. All of the blogs we read warned us how stressful and difficult domestic airports and budget airlines would be, but our experience was near perfect. Bangkok Don Mueang International Airport is incredible, the food options are out of control. One of our best meals of the trip was merely in the airport cafeteria. Tips: There are 2 major airports in Bangkok. Don't be like us, and actually double check which one you're flying out of. It'll spare you the panic of cutting the taxi line, a cab going double the speed limit, and sprinting to the gate. 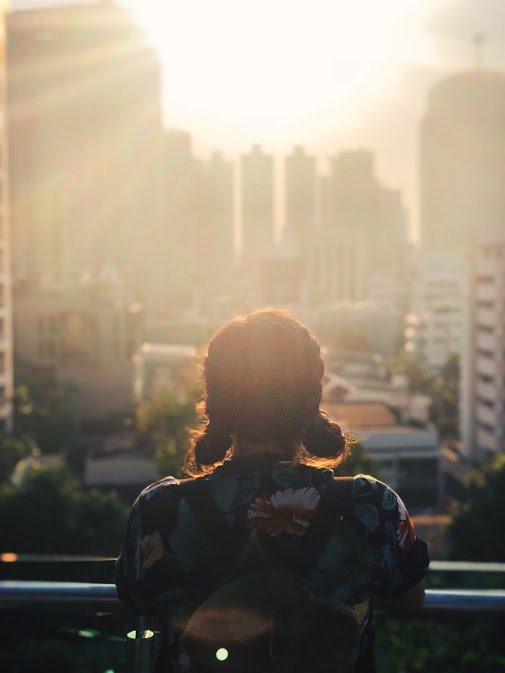 LODGING: We stayed in Airbnbs for the majority of the trip, using our Chase Sapphire Preferred points to book a hotel for our last night in Bangkok. I love Airbnb because it's the best way to meet locals, and stay in neighborhoods less frequented by tourists and more local. Airbnb in Bangkok: this was the cutest room within a narrow house, complete with a rooftop patio. Our hosts were a family and each morning, the matriarch would make us a traditional Thai breakfast, let me tell you it was delicious. Airbnb in Chiang Mai: This one may be the best Airbnb I've ever stayed in. This incredible treehouse style bungalow was up in the hills, right next door to a hip coffee shop and complete with a sweet pool. Our room was on the top floor and had 360 views of the tops of trees and mountains. Our hosts were so sweet, they set up our cooking class, our airport pickup, and they even invited us to have drinks and a home cooked meal with them. Airbnb in Phuket: This lovely apartment had a rooftop gym and infinity pool. It was the perfect way to unwind after long hot days island hopping. Hotel in Bangkok: The staff were so welcoming and wonderful! They even threw a little party for Songkran Festival and invited the guests to enjoy food and games, dousing us with water as is tradition. The suite was so luxurious, and there was a rooftop pool overlooking all of Bangkok. As far as food goes, I definitely took cues from Netflix's Somebody Feed Phil. But we found some gems of our own. * Jay Fai, for the best crab omelette of your life. Be prepared to wait a while to be seated, seeing a this Michelin star hole in the wall has one 70 year old woman preparing every meal herself. * Err; Urban Rustic Thai, This is such a fun spot for drinks and even a nice dinner. Make sure to get the passionfruit cocktail, Niall and I are still dreaming about it. * Thip Samai Pad Thai: this is arguably the "best" Pad Thai in Bangkok and I will say it didn't disappoint. As far as places to visit, some notable spots we spent time in were Wat Pho Temple, The Grand Palace, Wat Arun Temple, and Khao San Road (a pretty touristy spot, but definitely worth a walk through). * Bird's Nest Café: was not only a dope spot, but also one of the best banana pancakes I've ever had. * Free Bird Café: for one of those Instagram perfect smoothie bowls. This was such a relaxing stop after a long day with Elephants! * Ploen Ruedee Night Market: every option you can think of, plus live music and a sweet atmosphere. * Begin Again Coffee Shop: this spot was right next door to our Airbnb and while Chiang Mai is a city littered with fun coffee shops, Begin Again had a great vibe and awesome apple soda cold brew and rose lattes. * Khao Soi Loong Prakid Gard Gorm: if you can find this, you'll have the best meal you've ever had for about $1.50. Khao Soi is a delicious northern specialty, but this tarp covered driveway, with rogue roosters and little plastic chairs and tables will serve you the absolute tastiest, meat melts in your mouth version of it. Chiang Mai was our favorite part of the trip by far. The city has an incredible laid-back vibe, and the weather is much cooler than in other parts. Besides eating we spent a day at the Elephant Jungle Sanctuary. They pick us up in a open caravan, drive us 2 hours to the jungle, and we fed, mud bathed and washed Elephants, followed by a delicious fresh meal and the exhausted but happy ride home. I'm not exaggerating when I say this was one of the absolute best experiences of my life. We also took a Thai Cooking class at Pranang Chiang Mai Thai Cookery School. The course was 4 hours and they first took us to a local market to pick out ingredients, then taught us how to cook 4 courses of traditional thai food (which we happily ate afterwards). Lastly, we each had 90 minute full body Thai massages for about $12 total, not a hard sell. PHUKET: Since we only had about 2 and a half days in Phuket, we decided to splurge and use them to their fullest. For each full day we booked speedboat tours of different islands off the coast. * Love Andaman Tours : this was our "budget" version of a speedboat tour, and it was available last minute. We did the Phi Phi Islands day trip, which is a must do. You can find the itinerary on trip advisory or their website, but some of the notable stops included Maya Bay, Monkey Island and Mosquito Island. The boat was a bit crowded, but we still had a blast and spent the entire day snorkeling, swimming, and jumping off the boat. * Simba Sea Trips: this tour was absolutely worth the cost. Their boats are brand new, well maintained, and they never crowd the tour so that you may truly luxuriate on the boat. We did the Phang Nga Bay and Koh Panyee tour and some of the highlights were the fresh breakfast served aboard, the cave exploring (gear included), the incredible lunch on an indigenous town on stilts, and a quick stop at James Bond Island, not to mention the secluded beach last stop to really lay out and enjoy the crystal clear water. If you can book with this company, do it. * We Work Cafe: this was down the block from our Airbnb and had fantastic food as well as the best passionfruit smoothie I'll ever have. * Chillva Night Market: This is a fun night market with countless food options, and really fun shopping. BEIJING: We only had 22 hours to spend in Beijing, and while their airport may be my least favorite place in the world (we'll save that for another post at some point), we booked an airport layover tour with our Chase Sapphire Preferred Points to see the Mutianyu section of the Great Wall of China. 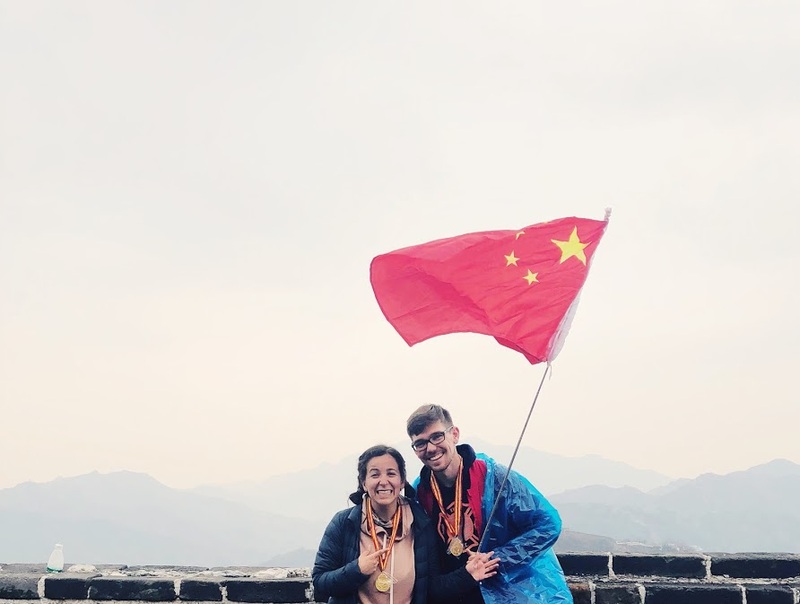 I'm not going to link our tour because it wasn't exactly cheap and our guide (despite assurances he would) didn't speak any English but despite all of the difficulty related to this part of the trip, it was worth it to check the Great Wall off the bucket list. Last minute tips and tricks: Much to our delight, we did not get sick on this trip. We were, however, very wary of the water, only brushing our teeth with bottled water, etc... Also, while we're very adventurous eaters, we made sure if we were eating anything street related, that it was cooked at high heat and hadn't been sitting out. Try to avoid raw leafy greens, but don't be afraid of the ice. We had iced drinks a lot of the time and were perfectly fine. We also lathered up on mosquito repellent, and saw our travel doctors before leaving just to update our tetanus boosters and get HEP A vaccines. Also remember, when visiting temples, you must cover your shoulders and knees, and try to wear easily removable shoes so you don't spend a majority of your vacation lacing and unlacing sneakers to go anywhere. Enjoy our pictures and travel vlog below!